There are many legends about mermaids and even a few dozen historical claims of supposedly “real” mermaid sightings. Hundreds of years ago, sailors and residents in coastal towns around the world told of their encounters with sea-maidens. One particular story dating back to the early 1600s claimed that a mermaid had entered Holland through a dike. With an injury from the ordeal, the mermaid was brought to a nearby lake to recover. Recently we were lucky enough to have met one. Her name is Moon Mermaid and her story is as mesmerizing as she is. “She was born of the moon and the sea in the blue waters of the Mediterranean Sea. Moon Mermaid first surfaced in 2003 when she began entertaining and performing for humans. 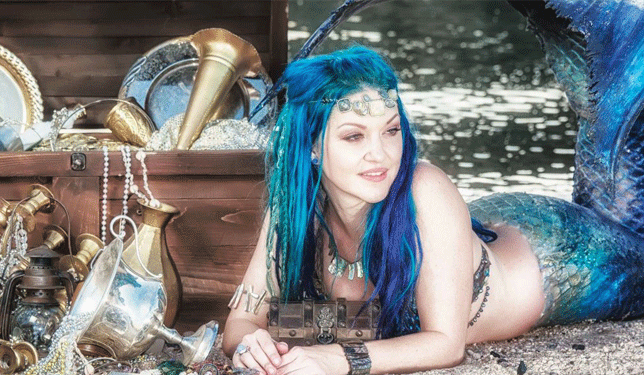 Moon is the first swimming mermaid to be spotted in Arizona where she enjoys the warm weather. [She] travels frequently to California, Texas and Nevada. Simply put, she is AMAZING! Swimming in the ocean can become tiresome. She decided it was time to tell share stories and lessons she learned on both sea and land. With the help of a fairy and swashbuckling pirates, Moon soon discovered the shiniest treasure of all was The Treasure of Friendship. 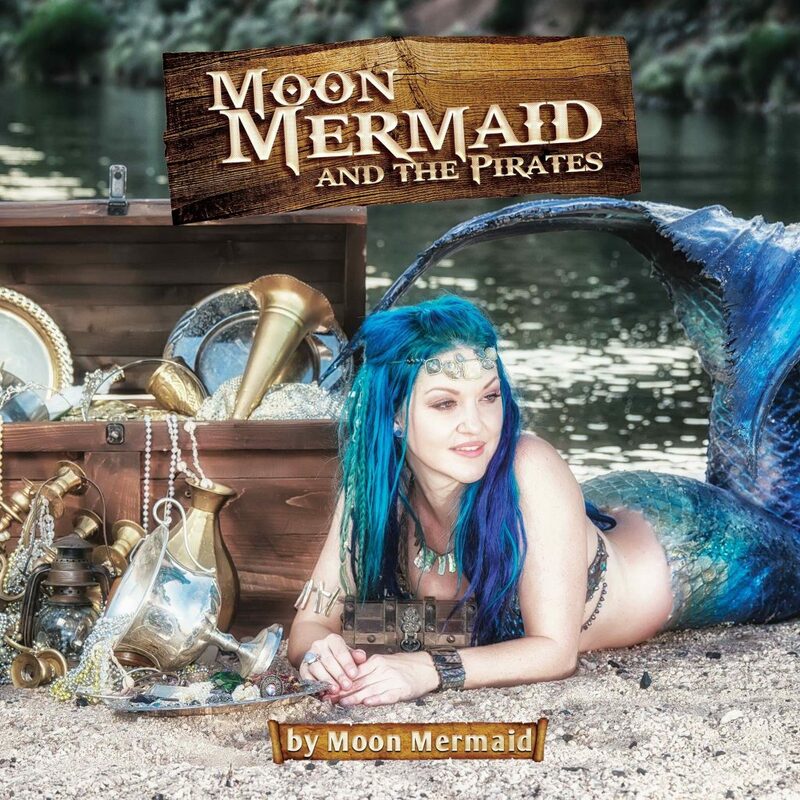 She has now just finished her 2nd book Moon Mermaid and The Pirates and will be swimming into our Mesa location on February 23rd at 2 PM ready to read for YOU! Check out Bookmans Events Page for a complete list of other awesome events happening at YOUR favorite Bookmans location.